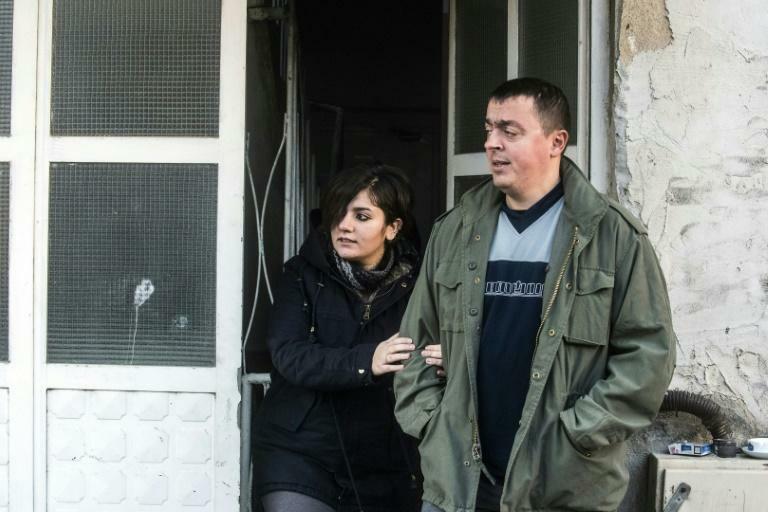 The scene was hardly conducive to romance: she was a sick Iraqi in a wave of refugees trying to enter Serbia, while he belonged to the stern Macedonian police force keeping guard. But Noora Arkavazi, a Kurdish Muslim, and Orthodox Christian Bobi Dodevski quickly fell in love after they met at the muddy border in early March -- and celebrated their wedding four months later. Bobi recalls the rainy day he first saw Noora in no man's land between the two Balkan countries, when he was working only by chance after swapping shifts with a colleague. 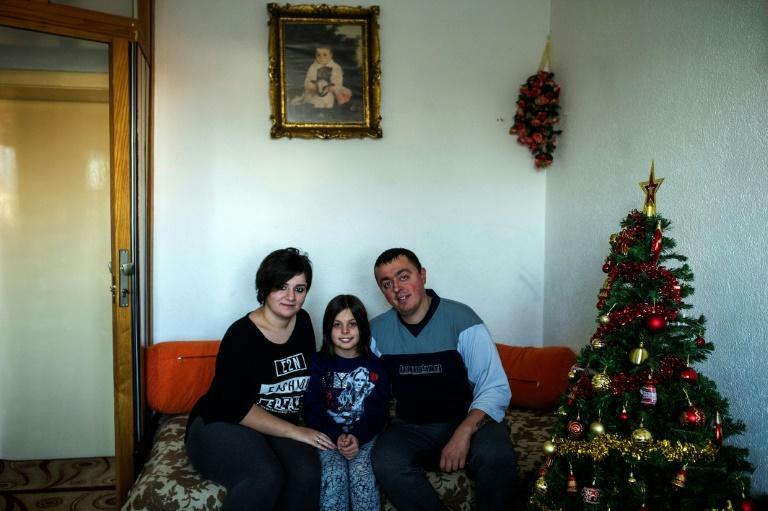 "It was destiny," the affable 35-year-old tells AFP over tea in his small apartment in the northern Macedonian town of Kumanovo, where he now lives happily with his young wife. Their path was one well-trodden by hundreds of thousands of people escaping war or poverty in the Middle East, Africa and Asia -- and like many of their fellow travellers, the Arkavazis had set their sights on Germany. While her family continued on their odyssey, Noora stayed put in Macedonia after Cupid's arrow struck. "I had a simple dream to live with my family in Germany," she says. "I didn't imagine a big surprise for me here." "He said 'just don't worry, everything will be very good in your life'," Noora remembers, now laughing over the fact that he couldn't stop looking at her. Twice-divorced Bobi says he knew he had found someone special. "When I saw Noora for the first time, I saw something good in her eyes." 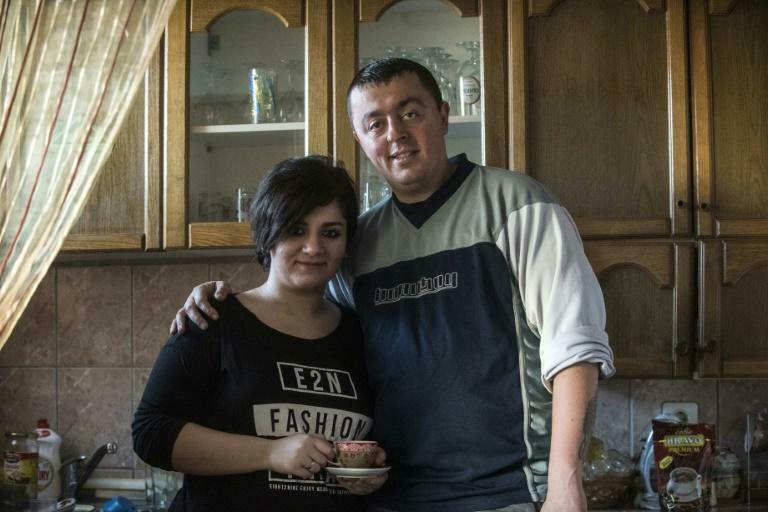 In the coming days, while the migrants waited in limbo in the Tabanovce transit camp, Bobi and Noora spent more time together -- he would take her and her mother to local markets to buy food and clothes. Noora, who speaks six languages and began helping the local Red Cross, liked the way the tall policeman would play with the migrants' children, unlike some of his more serious colleagues. "I told him no, you're joking... but maybe ten times he repeated this, 'will you marry me?'." Noora eventually said yes, but she worried about her parents' reaction to her marrying a non-Muslim. She told them: "I chose a good man for my life and I will marry him. I don't want to marry another guy". But they were "so nervous and angry," she says. Noora and Bobi celebrated their wedding in Kumanovo on July 13, her birthday, in front of 120 guests of "every religion", including her Red Cross colleagues. The town is one of Macedonia's most ethnically mixed, with Muslim Albanians, Serbs, Roma, Turks and other groups as well as the ethnic Macedonian majority. "It was a very beautiful and fun wedding," says Noora, describing the live music and dancing that continued into the early hours. The couple now live with Bobi's three children from previous marriages, and Noora is expecting their first baby. As a sign of their commitment, the lovers have each other's names emblazoned on their forearms in matching swirly tattoos. Noora says she misses Iraq "very much", but the welcoming nature of her new neighbours reminds her of the Iraqi sense of hospitality. "I feel like it's my country, the life here is so easy. Nobody here watches me like I'm a refugee." Noora's experience "is a nice story and we would like to have more like this... but most of the people are eager to continue" to where there are better economic prospects, Kladarin says. "Noora and I want to tell people to believe in yourself and believe in love -- and in destiny."